We use Flexmonster to show statistics by raw material, and statistics are done from number of individual value (sample_code). Statistics are shown from calculated values but we’d liked to display these values only for raw materials and not for individual value (sample_code), I am not sure to be clear ? If this is the scenario you need, we need to inform you that it is not supported in Flexmonster. However, there can be some workarounds with opening new pivot table in the pop-up window. OK thanks Tanya, it was my request, and we did find out about views in pop-up windows but these views can’t be saved, can they ? If you show the second pivot table in the pop-up window, the API calls will be available for this instance as well, including such calls as getReport(), setReport(), save() . Also, you can show the pivot table in the pop-up window with the Toolbar to display Save button. Thus, you will be able to write the scenarios when the state in the pop-up window can be saved. Here is a JSFiddle example https://jsfiddle.net/flexmonster/1rm53nt9/ that illustrates how the context menu can be extended with the item “Open in New Pivot” (available through a mouse right click on the numeric cell). The idea of the workaround for you was that you can extend the context menu for the cells that can be expanded with the new item. 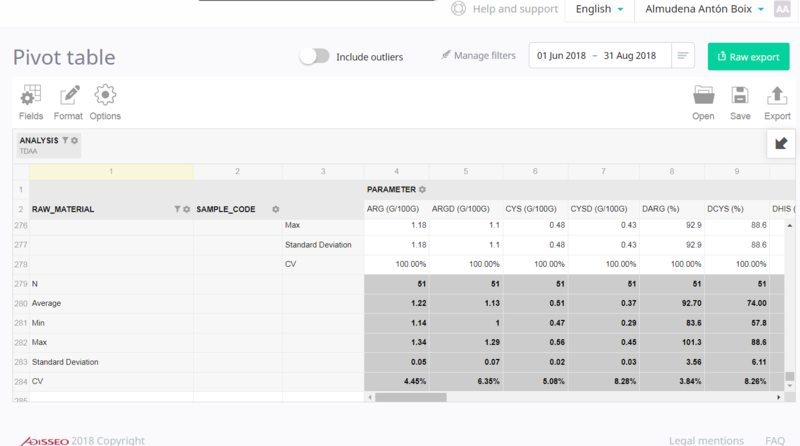 When a user clicks on this item, your code can get the current report through getReport(), expand the node there, leave only one measure there and display this slightly changed report in the pivot table in the pop-up window. Please let us know if the idea of the workaround is clear and if it can work for you.